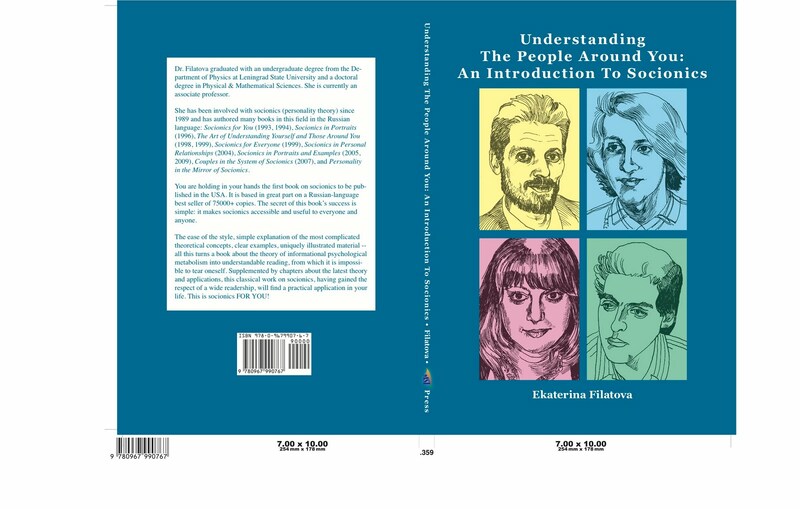 Well-known socionist Ekaterina Filatova of St. Petersburg has finally got a book published in English: Understanding the People Around You: An Introduction to Socionics. It is an English-language version of her popular book in Russian that sold around 75,000 copies. You can order it on Amazon.com. Filatova prefers to use a simplified 4-function model of the psyche (Augusta's original, so-called "Model J"), but in practice this doesn't seem to affect things much. I don't know where to leave this, so I'll just leave it here. Maybe I'm naive, but perhaps at least physical mechanisms, if not genes, can be found for important psychological traits. Thank you so much for bringing this information to my and other people's awareness. I usually don't buy much of anything but I am spending the money for this book. I look forward to reading it and learning from it. Thanks for posting this, Rick! I've been waiting for a book from Filatova! i am curious on your opinion of the book, if you've gotten it. consensus seems somewhat split on it. i think it's terrible. Your quality expectations are probably quite high:) Mine have lowered significantly in recent years. I have not seen the book in English, but have browsed the Russian original. I remember having some issues with it, but found it sufficiently usable for beginners. Certainly, compared to the other two books currently available in English, it is a vast improvement. 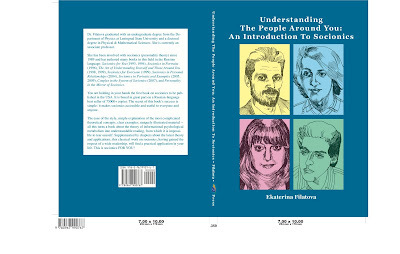 Pros: it is a true socionics book, with acceptable descriptions of types, elements, and relationships. Cons: it is at the same time too dumbed-down and too confusing. For instance, she explicitly avoided going into quadras, because it would be too much for an introductory work, and so emphasizes the 4 Jungian dichotomies, which I think is always a mistake (the 4-dichotomies test is relatively good, but still a mistake imo). Also - I don't see the point of mentioning stuff like the LSI moustaches and other supposed frequent physical traits. It is not so bad as she mentions them in passing, but she does mention them, and since those are very secondary and not consistently present traits, mentioning them is just confusing for the newcomer. Finally - some of the types of non-Russian celebrities are terrible - as she explicitly just used Lytov's typings. So is Jane Fonda a good example of SLE? Even some of the Russian typings seem absurd to me - how many people would choose Nikita Khruhschev as an example of IEE? The only type that did not seem to contain such absurdities, imo, was Filatova's own type, EII. The bottom line is that it is almost certainly the best book in English, but only because the bar is so low. Thanks for recommending the book. THe more choice ther is the better!